netUP was formally established in 2008 and have combined experience of more than 40 years in the data transfer field. We have a team of dynamic, passionate people who are extremely customer focused. 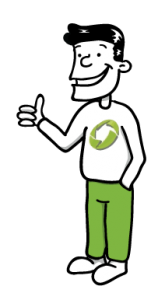 netUP was initially conceived in 2008 as an affordable secure file transfer alternative for the major players in the market, who only had high cost solutions. The low cost netUP solution evolved into the nuMotus Cloud solution. From there netUP grew into multiple product - and solution offerings to enable the company to service any facet of the file transfer market, from large to small. From there the company started diversifying into multiple other areas of the financial industry. netUP provides a managed file transfer (MFT) solution that can cater for any size enterprise to take full control of their transfers. This is provided through a software solution that does transfers, automation, encryption, as well as monitoring of all files transferred. A full MFT solution. There are three solutions available; nuMotus Direct (read more), nuMotus Cloud (read more) and nuMotus FileRunner (read more). netUP has grown from a file transfer solutions company into a multiple services and solutions company, diversifying into multiple market segments in the financial services industry. This portfolio of services includes; Account holder verification (AHV) (read more), netUP Bureau (read more), nuMotus nuView (read more), netUP Switching (read more), File encryption (read more) and File Conversions (read more). netUP has strong developers that can create scripts, programmes and APK’s for any solution. If you have any concern or wonder what you can do, talk to us! netUP provides the nuMotus software suite that consists of four products. netUP nuMotus Direct (for installations and direct management and monitoring at the client site – use by larger organisations); netUP nuMotus Cloud (for monitoring and management remotely via the internet cloud – used by medium - and small organisations); netUP nuMorus fileUP for ad hoc transfers and netUP nuMotus nuView for credit card mechant data. As there are customers that have specific requirements for PGP encryption, netUP has created a PGP module that can facilitate the encryption keys and PGP encrypt/decrypt and file before and after the transfer. This module is an add on to either nuMotus Direct, nuMotus Cloud or nuMotus FileRunner. The file conversion layer is either created at the customer or at destination and is outside the file transfer process. The conversion program is set up for specific client requirements to conform to some industry required layout, e.g. for a bank. 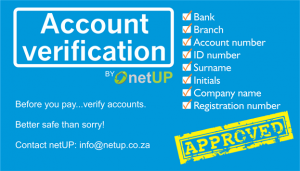 netUP Account Holder Verification (AHV) is the process where account details of customers can be verified by the banks to ensure that the details are correct prior to processing any transactions to the accounts. The netUP nuMotus AHV process is sponsored by Absa Bank. netUP nuMotus nuView is a service that netUP provides to assist credit card merchants to reconcile their point-of-sale (POS) transactions to the actual transactions processed by the bank. The reconciliation of these two ends have proven very difficult for the merchants as the total amounts sent and totals processed never seem to tie up.